Women who are over the age of 60, or who have a weakened immune system have a higher risk of developing shingles from the dormant virus. Recognizing the symptoms associated with the condition is important so treatment for the virus can begin immediately and decrease the severity and duration of the symptoms. It is necessary for one to get chickenpox in order develop shingles disease. This is because the virus is not completely destroyed in the body. It tends to retreat and hide within the nervous system for years. When the body's immune system is weak, the virus becomes activated. The exact cause is still unknown, but it is seen affecting adults, especially those with weak immune system, like old people more. Women suffering from cancer, HIV/AIDS, autoimmune diseases and who are on chemotherapy or immunosuppressant drugs are at risk of developing shingles. Symptoms of shingles in pregnancy are similar to women who are not pregnant. Also, the herpes cure for pregnant women is similar to those who are not pregnant. The symptoms of shingles in women is similar to the symptoms seen in men. The first sign of shingles is an extremely sensitive and tingling skin. One may feel one section of the body is burning, painful as well as numb. As the condition progresses, one will find a red blisters appear. The red shingles rash develops around the chest from the spine to the breastbone. A few people also develop the rash around the neck, face and even thighs. This red rash turns into fluid filled blisters that burst with time and form crusts. This rash is extremely itching. The symptoms of shingles in women are accompanied with fever, chills, body aches as well as headache. 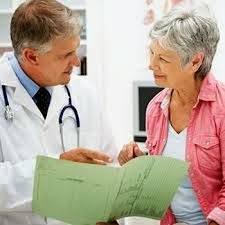 The person suffering from shingles develops fatigue. Pain is the most prominent symptom of singles. Many times, one may experience symptoms of shingles without rash. When the blisters break and form ulcers, they will soon form crusty scabs over them. These scabs will remain on your skin for several weeks and cause intense itching. It is important one refrains from scratching as it may lead to secondary bacterial infection. The blisters contain active virus and therefore the infected person is the most contagious at this stage. Symptoms of shingles in women may lead to postherpetic neuralgia. 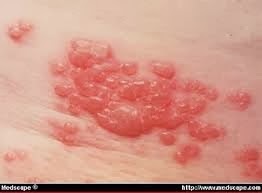 This means the infected woman may suffer from chronic shingles pain the area where the rash had developed. The pain may resolve itself after several months. It is important one seeks immediate medical attention in case the rash develops near the eyes as it may lead to permanent eye damage. Before any classic symptoms of shingles begin, a woman may have general feelings of discomfort. She may run a fever with chills and experience fatigue, nausea or a headache. Many women may attribute these symptoms to other conditions before pain or the rash begins. Shingles causes pain along the affected nerve. The pain is most often the first symptom of the virus, according to Medline Plus. A common location for the pain is on a nerve line that begins at the spine and continues around the side to the abdomen or chest. Typically, pain associated with shingles causes a burning or tingling, painful sensation. Pain can be severe and may require the use of narcotic pain medication to relieve the discomfort. After the pain begins, a red rash follows several days later. The rash appears along the same nerve as the pain. The rash may also appear on the face, eyes, ears and mouth, according to Medline Plus. The rash may itch and cause an urge to scratch. Following the red rash, most women experience small blisters forming over the reddened skin. The blisters break open and form ulcers on the skin. As the ulcers heal, crusty scabs form. Blisters that did not rupture begin to dry up and form scabs. The scabs typically appear around five days after the blisters developed. The scabs remain for several weeks and fall off. The blisters and scabs may cause itching. Scratching may cause a bacterial infection in the open sores, requiring antibiotic therapy. The blisters carry the active virus and may spread the infection to other individuals. If no bacterial infection occurs, scarring is minimal. Some women may experience symptoms of postherpetic neuralgia from a shingles infection. This condition causes chronic pain in the area where the virus occurred. Most often, the pain resolves spontaneously within several months. Pain medications and creams may help provide comfort for affected individuals. Shingles last for a few weeks and heals on its own. However, it is necessary one takes prompt treatment for shingles to reduce the intensity of the rash and avoid complications. The doctor may recommend antiviral drugs like acyclovir, valacyclovir, famciclovir, etc. Pain killers maybe advised to reduce the pain. Application of creams, gels and calamine lotion may help reduce the itchy skin.